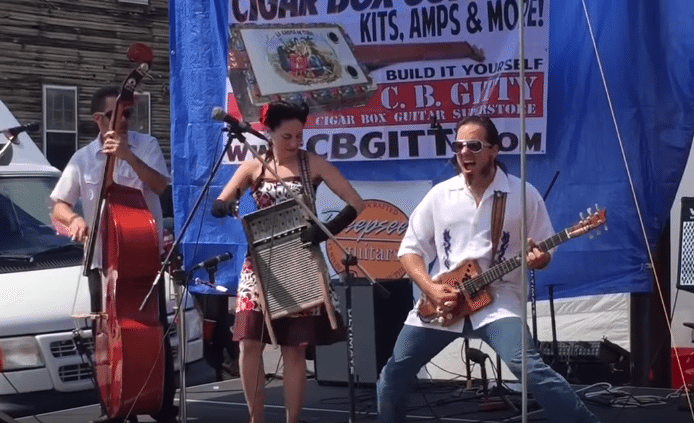 Cigar Box Guitar Performers – The How-To Repository for the Cigar Box Guitar Movement! He dabbled in guitar as a teenager, playing in a band and partying with friends. In his youth, artists like Led Zepplin, The Rolling Stones, and Jimi Hendrix opened his eyes to the blues. It was then that Keni Lee Burgess got hooked on the bottleneck slide. 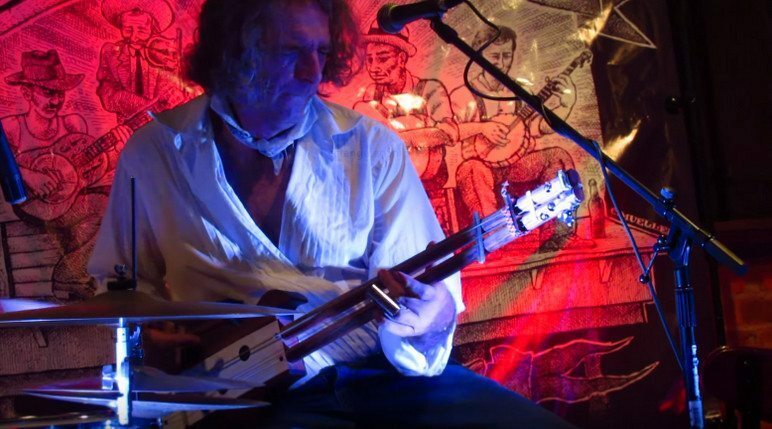 Like so many beginner guitarists, Burgess cut his teeth with the likes of Happy Traum songbooks. Later he learned from listening to newfound heroes, such as Robert Johnson, Sonny House, and Fred McDowell. 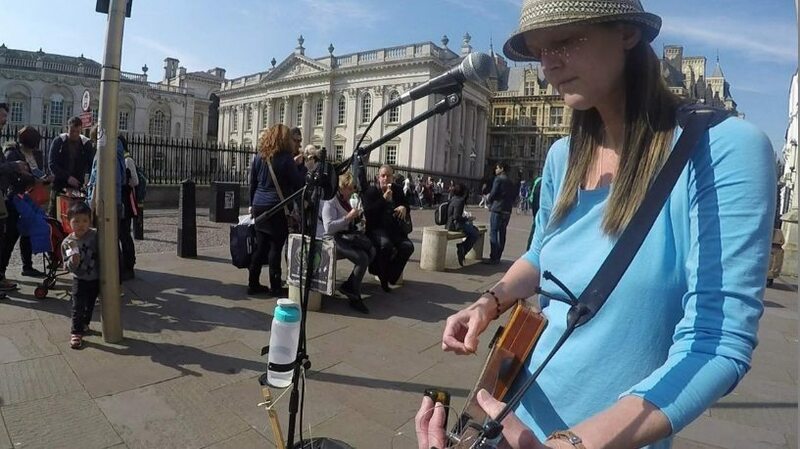 His love for playing the blues led Burgess to busking. 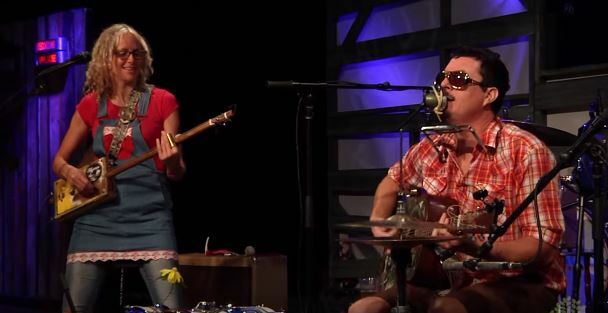 Videos of his performances, ripe with soul and skill, can be found on YouTube. 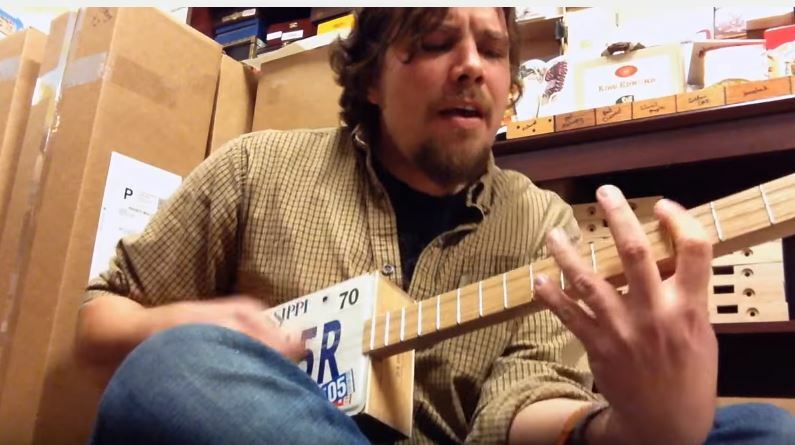 After posting some of his videos there, viewers began asking for lessons. 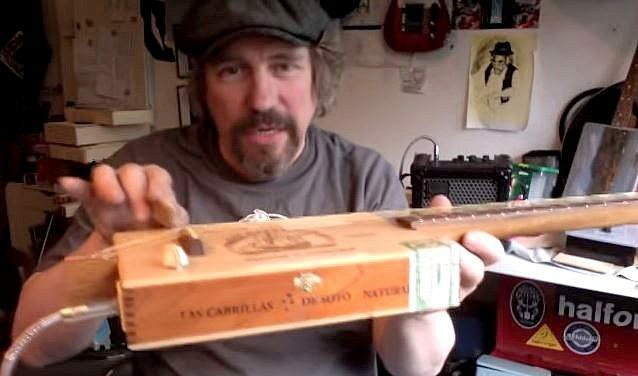 Burgess then created a series of videos on how to play bottleneck slide guitar. 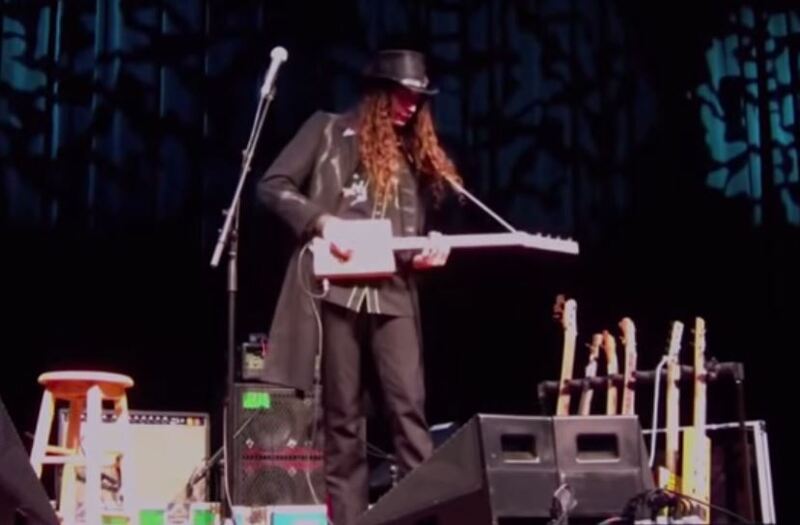 The response was so good that he continued producing lessons, ultimately creating a DVD series that includes how to play 3 and 4 string cigar box guitars. 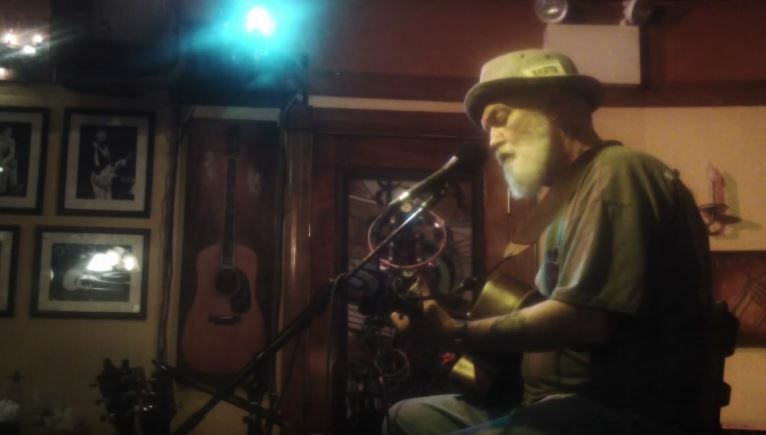 A love for the Mississippi Delta blues and the likes of Blind Willie Johnson, Charlie Patton, and Muddy Waters continues to fuel Burgess’s love for performing music. 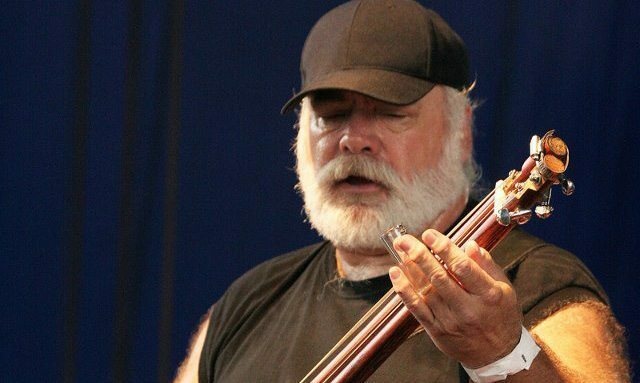 He has released 3 CDs in addition to his instructional DVD series, and continues to play live, delighting the public with his bottleneck blues. Find Keni Lee Burgess on Facebook and Cigar Box Nation. Microwave Dave is a Chicago-born and southern raised man. His life growing up was steeped in music, beginning with singing in a children’s choir and rambling through a host of instruments including trumpet, French horn, ukulele, guitar, and a bit of accordion. Dave’s early musical experiences include playing drums in a dixieland band featured by the old Houston Oilers of the American Football League. In college, Dave played in an R&B band that toured colleges, was hired for some session work, and appeared with a young Aretha Franklin. Unfortunately for him and his mates, members of the band, including Dave, were called to serve in the Vietnam War. Even in wartime Dave found a way to play in a soul band. 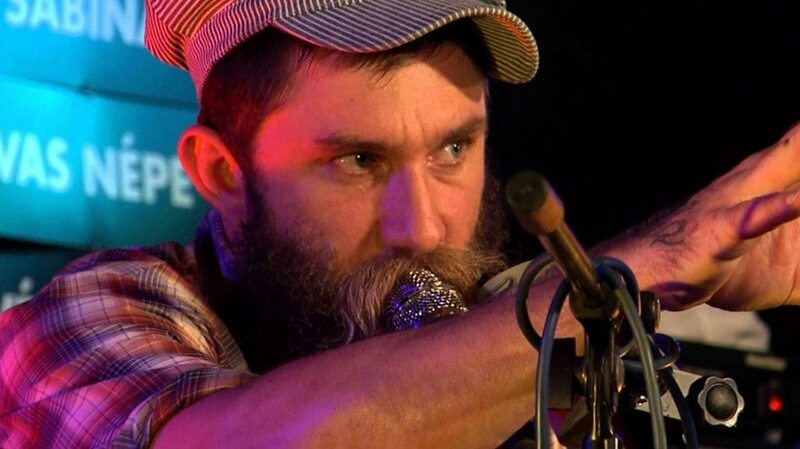 After serving his tour in the war Dave committed to working as a full-time musician. He played with a band named Cameron for twelve years, recording three albums with them, and playing over 300 dates a year. 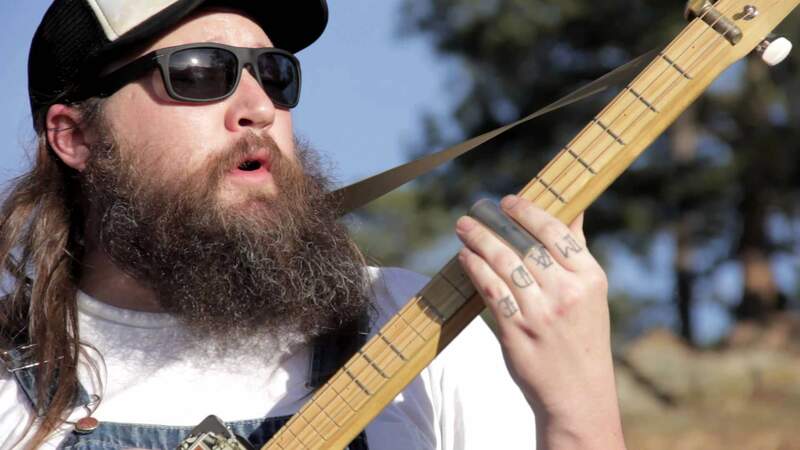 Post Cameron, Dave set off into a three year stint playing in a gospel group before moving to Huntsville, Alabama where he more deeply celebrated his Blues and R&B roots. It’s in Huntsville that Microwave Dave formed the Nukes, a deep south Blues band, in the late ‘80’s. 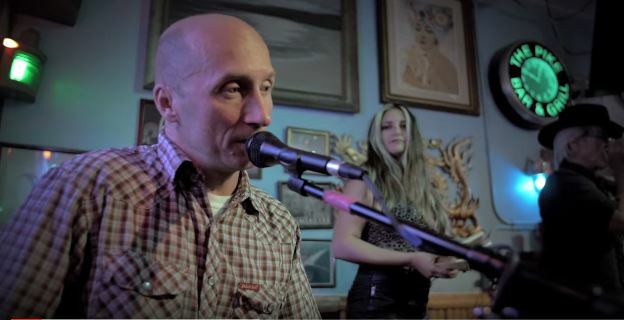 His musical career didn’t stop at performing as Dave also produced and hosted (and still hosts) a Blues program on the radio, earning him a nomination for a W.C. Handy award in ‘95. Dave continues to play his soulful Blues with the Nukes and for solo performances. In addition to that Dave can be found giving his time to local organizations to promote Blues music. The mayor of Huntsville even signed a proclamation honoring Dave with his own day, Microwave Dave Day, in 2015.